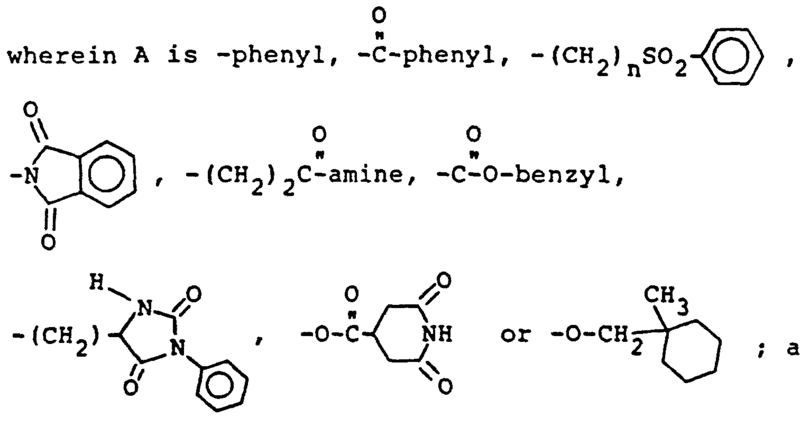 1991-03-14 Application filed by Pfizer Inc. filed Critical Pfizer Inc.
Certain benzylphosphonic acid compounds, and their pharmaceutically-acceptable salts, are inhibitors of tyrosine kinase enzymes, and so are useful for the control of tyrosine kinase dependent diseases (e.g., cancer, atherosclerosis). This invention relates to acid compounds which are useful in the field of medicinal chemistry. More particularly the invention relates to benzylphosphonic acid compounds which are tyrosine kinase inhibitors useful for the control of cancer, antiangiogenesis and atherosclerosis. kinases) represent a family of enzymes which catalyze the transfer of the terminal phosphate of adenosine triphosphate to tyrosine residues in protein substrates. The first members of this class to be identified were tyrosine kinases associated with viral genes (termed oncogenes) which were capable of cell transformation (i.e. pp60v-src and pp98v-fps). Later it was shown that there were normal cellular counterparts (i.e. pp60c-src and pp98c-fps) to these viral gene products. A third category of tyrosine kinases to be identified are those termed the growth factor receptors, which includes insulin, epidermal growth factor, and p185HER-2 receptors. All of these tyrosine kinases are believed, by way of substrate phosphorylation, to play critical roles in signal transduction for a number of cell functions. Though the exact mechanisms of signal transduction have yet to be elucidated, tyrosine kinases have been shown to be important contributing factors in cell proliferation, carcinogenesis and cell differentiation. Therefore, inhibitors of these tyrosine kinases are useful for the prevention and chemotherapy of proliferative diseases dependent on these enzymes. Summary of the Invention. The present invention is also directed to pharmaceutical compositions for the control of tyrosine kinase dependent diseases in mammals which comprise a compound of the formula (I) in a pharmaceutically- acceptable carrier; and to a method of controlling tyrosine kinase dependent diseases which comprises administering to a mammal suffering from tyrosine kinase dependent diseases a tyrosine kinase dependent disease controlling amount of a compound of the formula (I). 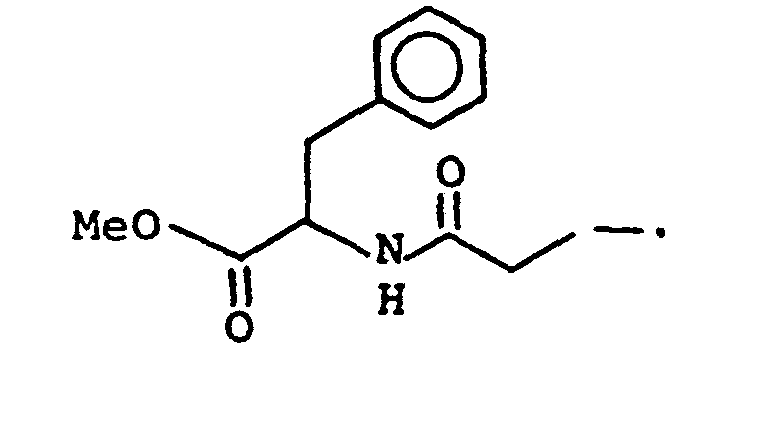 diethanolamine, ethylenediamine, meglamine (N-methyl- glucamine), benethamine (N-benzylphenethylamine), piperazine or tromethamine (2-amino-2-hydroxymethyl- 1,3-propanediol). These reactions are carried out by standard methods, well-known in the art. Reaction of the benzyl halide of formula II with the phosphite is usually carried out by heating with a phosphite at temperatures of about ambient (25°C) to about 150°C, preferably about 60°C to about 90°C, for about one to about 24 hours. Typically an excess of phosphite (e.g., 1.2 equivalents to about 10 equivalents) is used. The reaction may be run neat (typically with at least about a 5 equivalent excess of phosphite) or may be run in nonhydroxylic solvents such as nonpolar hydrocarbon solvents, ethereal solvents, etc. Specific examples include THF, DMF and toluene. Typically the reaction is run at ambient pressure although any pressure that does not adversely affect the desired end product may be used. A number of phosphite compounds can be used. 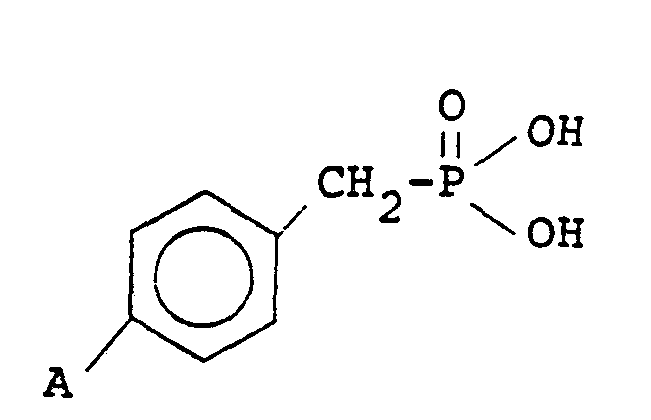 However, particularly suitable are phosphite esters such as triethyl phosphite or tristrimethylsilyl- phosphite. hydrolysis is performed in the absence of a solvent (except for the acid). The reaction is conveniently performed at ambient pressure although any pressure that does not deleteriously affect the desired end product may be used. hydrolysis conditions such as stirring at about 0°C to about 50°C for about 2 to about 12 hours in a water miscible solvent such as THF, acetone or alcohols are sufficient. Water, typically about 5% to about 30% by volume of solvent, is used to effect the hydrolysis. Although any pressure that does not deleteriously affect the desired end product may be used, the reaction is conveniently carried out at ambient pressure. 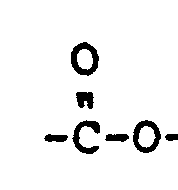 The intermediate phosphonate ester of formula II can be isolated and purified, if desired. Alternatively, the intermediate ester can be hydrolysed in situ. standard recrystallization or chromatograph procedures may be used; however, recrystallization is preferred. Preferably the benzyl compound (IV) is reacted with a brominating agent such as N-bromosuccinimide in the presence of a peroxide such as benzoyl peroxide in a aprotic solvent such as carbon tetrachloride at reflux to produce the benzyl bromide (V). Some of the starting compounds for the benzylic bromination may be made by making the acid chloride of the appropriate acid (e.g., dihydrocitrazinic acid), preferably by refluxing with thionyl chloride. The acid chloride is esterified by reaction with the paramethylphenol to yield the desired toluene-based starting compounds. Other starting compounds for the benzylic bromination may be made by basic treatment of paramethylphenol. Preferably, the paramethylphenol is reacted with potassium hydroxide in alcohol at room temperature, to yield the phenoxide followed by reaction with the appropriate methyl tosylate and potassium iodide at about 150°C to yield the desired toluene based starting compound. n = 1, 2 or 3, H-Nucleophile = amine or alcohol. Preferably, the acyl halide is reacted with an amine or alcohol under nitrogen at about 0°C to about 25°C in the presence of a base such as triethylamine and an aprotic solvent such as methylene chloride. The resulting amide or ester can then be condensed with a phosphite as described above. The starting benzyl chlorides used in the above reaction sequence may be formed by bromomethylation and conversion to the acylchloride (X) as described empirically below, of the appropriate acid (VIII). 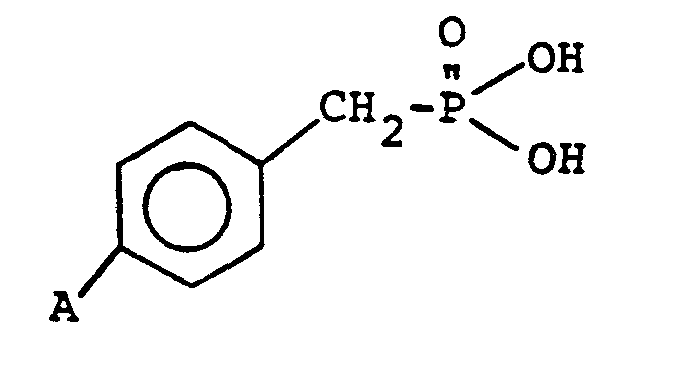 Preferably 3-phenylpropionic acid is heated with paraformaldehyde and HBr at about 25°C to about 100°C. Preferably the acid (IX) is reacted with oxalylchloride under nitrogen at ambient temperature. Yet other benzyl phosphonic acid based compounds can be prepared by condensing the appropriate hydantoin (XI) with bis-benzyl halides (XII) as described empirically below. wherein R2 is a lipophilic constituent such as phenyl and X is halogen (i.e., chlorine, bromine, iodine or fluorine). Preferably an N-3 protected hydantoin is treated with a base such as magnesium methoxycarbonate at temperatures from about 25°C to about 120°C in an aprotic solvent followed by treatment with a dihalide at a similar temperature. The hydantoin starting compounds (XI) may be made by reaction of an amine with ethyl isocyanatoacetate followed by treatment with acid. The starting materials for the above described three major reaction pathways, benzylic halogenation, condensation of acid chloride with amine or alcohol and condensation of bis-benzyl halides with hydantoins, can be easily synthesized by those skilled in the art starting from common chemical reagents using conventional methods of organic synthesis. The compounds of this invention are acidic and they form base salts. All such base salts are within the scope of this invention and they can be prepared by conventional methods. For example, they can be prepared simply by contacting the acidic and basic entities, usually in a stoichiometric ratio, in either an aqueous, non-aqueous or partially aqueous medium, as appropriate. The salts are recovered either by filtration, by precipitation with a non-solvent followed by filtration, by evaporation of the solvent, or, in the case of aqueous solutions, by lyophilization, as appropriate. The compounds of this invention are all readily adapted to therapeutic use as tyrosine kinase inhibitors for the control of tyrosine kinase dependent diseases in mammals. Tyrosine kinase dependent diseases refer to hyperproliferative disorders which are initiated/maintained by aberrant tyrosine kinase enzyme activity. Examples include cancer, atherosclerosis, antiangiogenersis (e.g., tumor growth, diabetic retinopathy), etc. The compounds are administered either orally or parenterally, or topically as eye drops, in dosages ranging from about 0.1 to 10 mg/kg of body weight per day in single or divided doses. Of course, in particular situations, at the discretion of the attending physician, doses outside of this range will be used. The compounds of this invention can be administered in a wide variety of different dosage forms, i.e., they may be combined with various pharmaceutically-acceptable inert carriers in the form of tablets, capsules, lozenges, troches, hard candies, powders, sprays, elixirs, syrups, injectable or eye drop solutions, and the like. Such carriers include solid diluents or fillers, sterile aqueous media and various non-toxic organic solvents. suitable for dropwise administration to the eye. In a pharmaceutical composition comprising a compound of formula I, or a pharmaceutically-acceptable salt thereof, the weight ratio of carrier to active ingredient will normally be in the range from 1:4 to 4:1, and preferably 1:2 to 2:1. However, in any given case, the ratio chosen will depend on such factors as the solubility of the active component, the dosage contemplated and the precise route of administration. To a solution of 4.0 g (20 mmol) of 4-benzoyl- toluene and 3.6 g (20 mmol) of N-bromosuccinimide in 120 ml of carbon tetrachloride was added 0.05 g (0.2 mmol) of benzoyl peroxide. The reaction was refluxed for 17 hours, cooled to room temperature and filtered. The filtrate was evaporated and the crude product was taken on without further purification. A mixture of 4.8 g of 4-benzoylbenzyl bromide and triethylphosphite was heated at 125°C for 0.5 hours and cooled to room temperature. The resulting oil was purified by flash chromatography (70% ethyl acetate/hexanes) to afford 3.2 g of diethyl 4-benzoylbenzylphos- phonic acid, as an oil. A mixture of 3.2 g (9.6 mmol) of diethyl 4-benzoylbenzylphosphonic acid and 40 ml of concentrated hydrochloric acid was refluxed for 7 hours and cooled to room temperature. The two phase mixture was partitioned between 125 ml of water and 400 ml of EtOAc, the EtOAc layer was dried over Na2SO4, filtered and evaporated to give 0.7 g of product; m.p. Found: C, 60.94; H, 4.66%. A solution of 4.3 g (14 mmol) of 4-(phenylsulfonyl)- benzyl bromide and 30 g (0.1 mole) of tris-trimethyl- silylphosphite was heated at 120°C for 18 hours. The excess tris-trimethylsilylphosphite was distilled off under reduced pressure. The residue was dissolved in 200 ml of 9:1 tetrahydrofuran/water and was allowed to stand at room temperature for 18 hours. The tetrahydrofuran was evaporated and the resulting solids were filtered and washed with water to give 1.4 g of product; m.p. 217-219ºC. Found: C, 50.00; H, 4.14%. 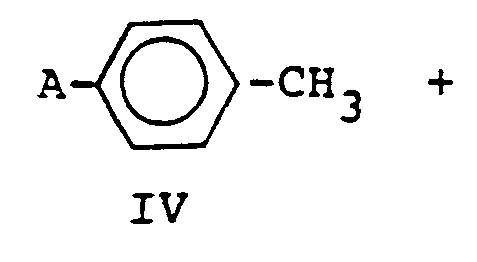 The title compound was prepared from N-[4(bromomethyl)phenyl]phthalimide according to the procedure of Example 2, part 2; m.p. 239-243°C. C, 56.79; H, 3.81; N, 4.42%. Found: C, 57.04; H, 3.74; N, 4.45%. resulting oil was filtered through a plug of silica gel to give 20 g of product as an oil. A solution of 2.2 g (10 mmol) of 4-[((1-methyl)- cyclohexyl) methoxy] toluene, 1.8 g (10 mmol) of N-bromosuccinimide and 0.02 g of benzoyl peroxide in 60 ml of carbon tetrachloride was refluxed for 16 hours. The reaction was cooled to room temperature, filtered and the filtrate evaporated to give the product which was used without further purification. A mixture of the 4-[((1-methyl)cyclohexyl)methoxy]- benzyl bromide and 1.7 g (10 mmol) of triethylphosphite was heated at 145ºC for 0.2 hour. The reaction was cooled to room temperature and flash chromatographed to give 1.3 g of product as an oil. A solution 0.7 g (2.0 mmol) of diethyl 4-[((1- methyl)cyclohexyl)methoxy]benzylphosphonate and 10 ml of concentrated hydrochloric acid was refluxed for 24 hours. The reaction was cooled to room temperature, filtered and the solids were washed with water. The solids were recrystallized from EtOAc/cyclohexane to give 0.4 g of the product; m.p. 170-172°C. Found: C, 60.73; H, 7.87%. p-dioxane was refluxed for 2 hours. The upper layer was separated, cooled to room temperature and the solids were isolated by filtration. The solids were recrystallized from acetone to give 1.2 g of product; m.p. 183-184°C. C, 63.15; H, 5.66; N, 5.26%. Found: C, 63.22; H, 5.74; N, 5.47%. 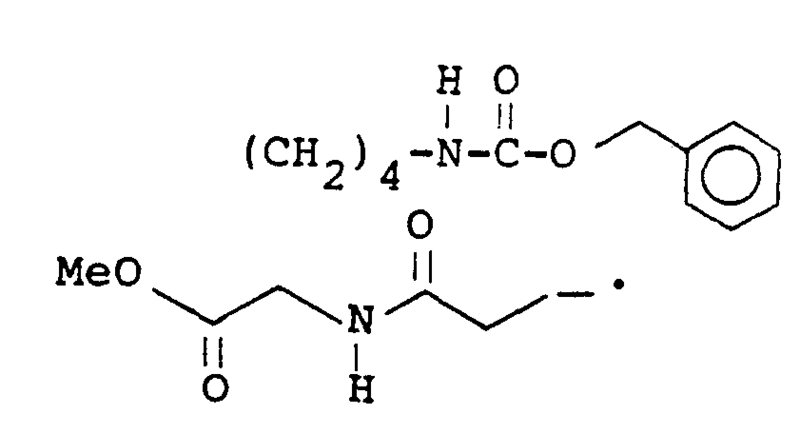 The titled compound was prepared from 4-[4-(bromomethyl)phenoxy]carboxyglutarimide according to Example 2, part 2; m.p. 242-244°C. C, 47.71; H, 4.31; N, 4.28%. Found: C, 47.53; H, 4.22; N, 4.30%. refluxed for 10 hours and cooled to room temperature. Evaporation afforded 4-(chloromethyl)benzoyl chloride as an oil which was used without purification. 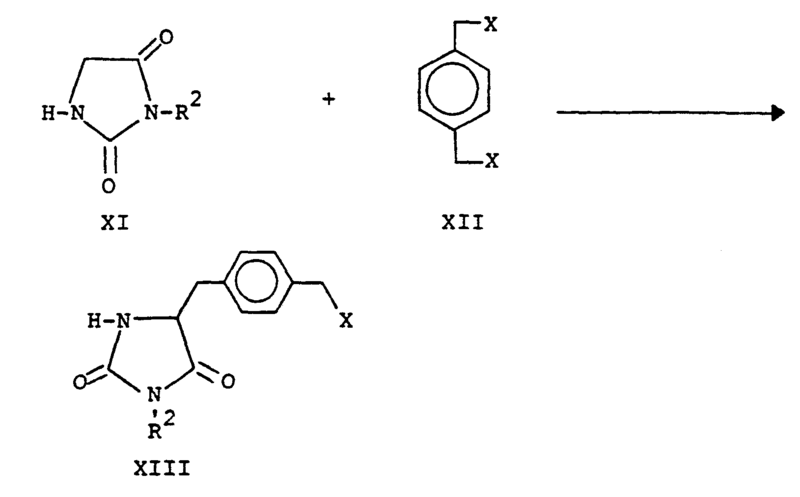 To a cooled (0°C) solution of 2.6 g (14 mmol) of 4-(chloromethyl) benzoyl chloride and 2.0 g (18 mmol) of benzyl alcohol in 30 ml of dichloromethane was added 1.8 g (18 mmol) of triethylamine. The reaction was stirred at 0°C for 0.2 hours, then at room temperature for an additional 1 hour and poured into 150 ml of EtOAc. The EtOAc layer was with three portions of water, dried over Na2SO4, filtered and evaporated. The crude product was flash chromatographed (5% EtOAc/hexanes) to give 0.7 g of product; m.p. 52-54°C. 4-(chloromethyl)benzoic acid according to the procedure of Example 2, part 2; m.p. 160-163°C. A solution of 1.5 g (6.2 mmol) of 3-[4-(bromomethyl)phenyl]propionic acid (U.S. 4,032,533) and 1.2 g (9.3 mmol) of oxalyl chloride in 6 ml of dichloromethane was stirred at room temperature for 2.5 hours and evaporated to give 1.6 g of product as an oil. Na2SO4, filtered and evaporated to afford an oil. This oil was flash chromatographed (40% EtOAc/hexanes) to give 0.8 g of product; m.p. 89-90°C. C, 66.66; H, 6.15; N, 3.88%. Found: C, 66.85; H, 6.19; N, 3.69%. 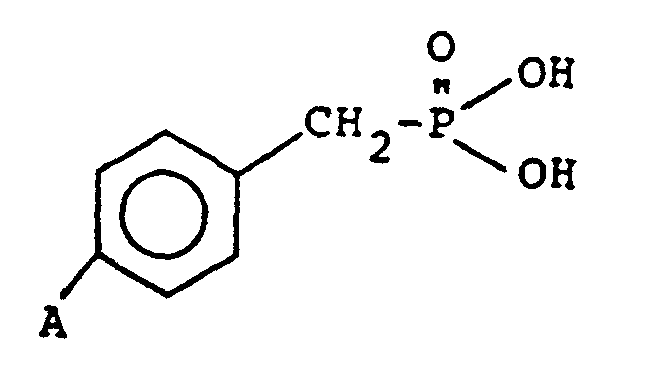 (chloromethyl) phenyl) propionyl] phenylalanine methyl ester according to the procedure of Example 2, part 2; m.p. 139-142°C. C, 59.26; H, 5.97; N, 3.46%. Found: C, 58.97; H, 5.85; N, 3.43%. To a cooled, (0°C), stirred slurry of 1.6 g (6.2 mmol) of 3-[4-(chloromethyl)phenyl]propionyl chloride and 2.0 g (6.2 mmol) of N-ε-carboxybenzyloxylysine methyl ester hydrochloride salt in 6 ml of dichloromethane was added 1.4 g (14 mmol) of triethylamine. The reaction was stirred at room temperature for 2 hours, poured into EtOAc and washed with water. The EtOAc layer was dried over Na2SO4, filtered and evaporated to afford an oil. This oil was flash chromatographed (55% EtOAc/hexanes) to give 2.1 g of product; m.p. 98-101°C. C, 63.21; H, 6.58; N, 5.90%. Found: C, 63.47; H, 6.59; N, 6.02%. product using the procedure in Example 2, part 2; m.p. C, 56.71; H, 6.47; N, 5.29%. C, 52.04; H, 7.11; N, 7.14%. Found: C, 52.11; H, 6.93; N, 6.99%. To a cooled (0°C), stirred solution of 6.5 g (50 mmol) of ethyl isocyanatoacetate in 75 ml of ethyl ether was added a solution of 4.7 g (50 mmol) of aniline in 50 ml of ethyl ether. The reaction was warmed to room temperature, stirred for 0.5 hour, evaporated to two-thirds the original volume, cooled to 0°C and filtered to give 8.2 g of product; m.p. A solution of 5.6 g (25 mmol) of ethyl δ-phenyl hydantoate in 25 ml of 6N hydrochloric acid was heated at 100°C for 1 hour and then cooled to 0°C. Filtration gave 3.6 g of product; m.p. 154-156°C. C, 64.86; H, 4.80; N, 8.90%. Found: C, 64.76; H, 4.78; N, 8.75%. product using the procedure of Example 2, part 2; m.p. C, 56.34; H, 4.76; N, 7.78%. Found: C, 56.34; H, 4.66; N, 7.76%. Found: C, 66.85; H, 6.97%. Found: C, 62.86; H, 5.22%. Commercially available 4-(phenylsulfonylmethyl)- benzyl bromide was converted according to the procedure of Example 2, part 2 to 4-(phenylsulfonylmethyl)benzylphosphonic acid; m.p. >280°C. Found: C, 51.65; H, 4.61%. the pharmaceutically-acceptable cationic salts thereof. 7. 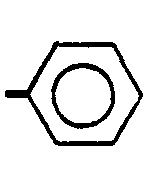 A compound of claim 1 wherein A is -phenyl. 8. A pharmaceutical composition for the control of tyrosine kinase dependent diseases in mammals which comprises a compound of claim 1 in a pharmaceutically- acceptable carrier. controlling amount of a compound of claim 1.
wherein A is as defined above and X is halogen , with a phosphite , followed by hydrolyzing the resulting benzyl phosphonic ester intermediate, said processes being followed by optional conversion of the product into a pharmaceutically-acceptable cationic salt. nonhydroxylic solvent, or neat, for 1 to 24 hours. 12. The process of claim 11 wherein the phosphite compound is a phosphite ester and the reaction is performed at a temperature of 60°C to 90°C. 13. The process of claim 12 wherein the phosphite is triethyl phosphite and the benzyl phosphonic ester is hydrolyzed by exposure to a concentrated mineral acid. 14. The process of claim 12 wherein the phosphite is a trialkylsilyl ester and the benzyl phosphonic ester is hydrolyzed in a water miscible solvent at about 0°C to about 50°C for about 2 to about 12 hours in the presence of about 5% to about 30% water, by volume of solvent. 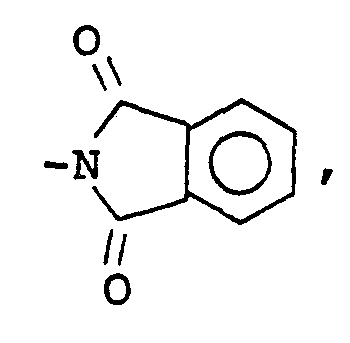 DE69105495A DE69105495T2 (en) 1990-04-02 1991-03-14 Benzylphosphonic tyrosine kinase inhibitors. FI78915C (en) 1989-10-10 Foerfarande Foer framstaellning of nya difosfonsyraderivat.